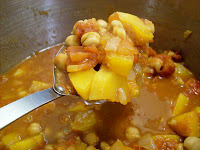 Nummy Moroccan Stew | What Smells So Good? I have tried couscous yet and I'm curious to try it. The recipe sounds delicious.